Fast Flow Drains, residential and commercial specialists, offer a complete drain cleaning service across London, Hampshire & nationwide. If you have a blocked toilet, sink or drain then Fast Flow Drains will be able to help you. We have the solutions to almost every sort of drainage problem and can provide high pressure drain jetting, CCTV drain surveys and drain lining and excavation. We look at all the solutions available to ensure that we provide the drain unblocking and drain clearance service that you require. We carry out CCTV drain surveys, drain lining, drain repairs and high pressure jetting and a range of other drain unblocking services. If you have a drainage problem or a blocked toilet or sink, then contact Fast Flow Drains for a quick and easy solution. Fastflow drains specialises in both residential and commercial drain clearance and maintenance. Are you wanting an affordable, professional drain clearing service? Fast Flow Drains is a very popular company with both residential and commercial customers. Fast Flow Drains offers residential drainage services in London and the surrounding areas in Hampshire, Surrey, Berks and Middlesex. 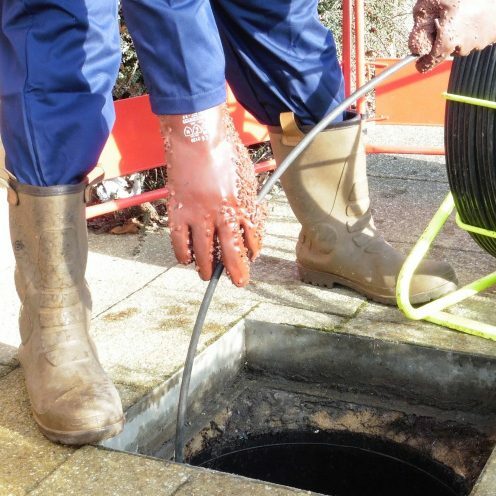 High pressure water jetting is the most effective means of clearing drains, Fast Flow have the experience and a comprehensive range of jetting equipment to deal with any blockage. A blocked gutter or downpipe causes a major disruption in the transit of water from your home or commercial premises to your rainwater system, and should be dealt with urgently. Electro Mechanical cleaning is used to clear internal primary pipework, service sinks, washing machines, basins, baths and showers as well as urinals. This is carried out with the use of hand held electro-mechanical coring machines. For commercial drainage, Fast Flow Drains are professionals and are able to service your every need. With a growing list of contactable references, you can be assured of the perfect job, every time. Fast Flow Drains offers commercial and industrial drainage services in London and the surrounding areas in Hampshire, Surrey Berks and Middlesex. A CCTV survey is when a small camera is placed into the drain and propelled along the pipework. Usually a recording is made onto video or DVD. They are often recommended or required if there is a suspected problem or defect or during a house purchase. Fastflow Drains is a family business based in Farnborough, covering Hampshire, Berkshire, Surrey, London and beyond. We specialise in both residential and commercial drain clearance and maintenance.